Home>New Songs>Philthy Rich Songs> Philthy Rich Spits Fire With Rexx Life Raj & ALLBLACK On "Dope Boy"
With his album set for a release this Friday, Philthy Rich has been dropping nothing but fire during the rollout to N.E.R.N.L. 4. Keeping Oakland on lock, Philthy has been out for a minute and his consistency has been a major aspect keeping him relevant for so long. 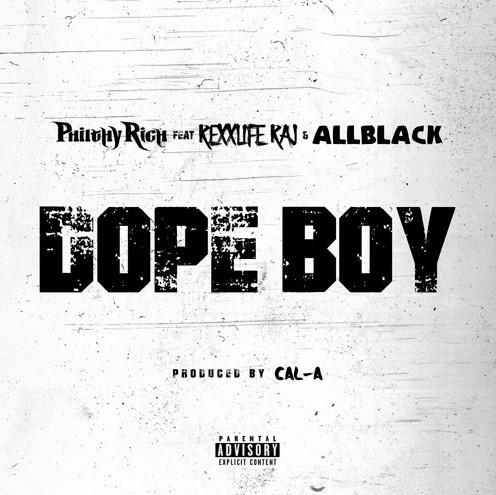 Remembering his dreams as a child, Philthy, Rexx Life Raj and ALLBLACK team up to recall how they have always wanted to be dope boys. Now that they've achieved their goals, the Bay Area trio drop off another street anthem from Philthy's upcoming album. Between Philthy's verses, Rexx creates a dreamy vibe for the track before ALLBLACK knocks it out of the park, going hard in his section. With only two days to wait for N.E.R.N.L. 4, the Oakland rapper's next album is set to be one of his best thus far. SONGS Philthy Rich Spits Fire With Rexx Life Raj & ALLBLACK On "Dope Boy"